Ok I've been working with worms alot not because Im sold on them being a top tier, ultra competitive architype but because I think they are fun. Many of us are getting away from the fun deck building and in my opinion a it can be 10x more gratifying dueling with a well worked and loved deck that is just as fun to lose with as it is to win. Now Im not saying that this deck can not be run competitively in fact I test it a lot against all the top decks out now in the meta and it can easily hold its own (some have great difficulty) but like any control deck a lot of its success comes down the ability of the duelist to make judgment calls and read his opponent. I should note too that I have run through a great many different types of builds from the OTKs to the Control that you see here. I went this way because the OTK is done better else where, while the control of worms can prove very tricky for your opponents, especially in this meta and with a lot of people having a lack of knowledge of how the archetype works. The deck is light-medium in the # of Monsters with only core spell support however the deck is very trap heavy. It mostly controls and pluses via the effect of Yagan, so the most common play is normal summon Xex to send Yagan, SS Yagan face down with Yagans effect. I will get more into this when we have a break down of the cards. The real boon to this deck was the Extreme Victory card W. Nebula Meteor. It has the ability to recycle worm flip effects, gain hand advantage and ss out King (our gravekeeper descendant with a larger attack), in fact you can draw more than a couple comparisons to the Gravekeeper architype. 2x CARTAROS- He is our ROTA of the deck. He's a great set up card and the effect works well with Meteor. Being a 4 star (like all the worms in this deck) he's a great target to syncro for Triforce and being a light works with Honest. A typical play would be to flip, bring a Xex to hand. 3x YAGAN- The ability to plus with this card earns it's 3 spots in the deck. Dump him with Xex to SS him facedown if Xex is all you control (even if you control multiple Xexs). Summon Xex ; Send Yagan ; SS Yagan facedown ; Flip Meteor ; bounce a monster with Yagan*** ; end turn ; Flip down Xex and Yagan ; Draw 2 ; SS King. The card plays great with Triforce too if you dump him to the grave and then use Triforce's effect he does not get removed when he leaves the field. You should also note that he will not be removed if he is flipped face down again via the effects of Book of Moon or Meteor. 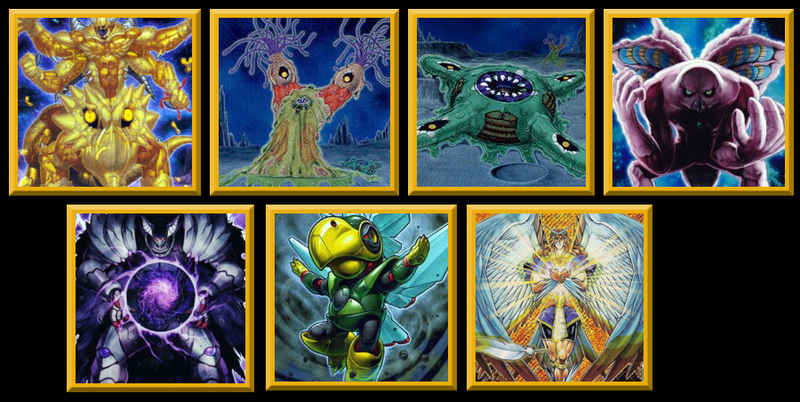 "After "Worm Yagan" Special Summons itself from the Graveyard, if it is flipped face-up and then face-down by an effect like "Book of Moon", then as soon as it becomes face-down the effect "When this card is removed from the field, it is removed from play." no longer is applied, so it will no longer be removed from play if it is removed from the field." 2x CAIUS- There are times you have some worms hanging out there doing nothing or a card that needs removing Caius is your go to guy. His removal effect can be a game saver. 1x HONEST- Honest is honest, you have multiple targets and can be great if you have a yagan sitting out there. 1x DARK HOLE - can actual be a great way to reestablish control esp if you have random worms up and not doing much for you except blocking a yagan special summons. 2x MYSTICAL SPACE TYPHOON- no need for explanation. 1x MONSTER REBORN- no need for explanation. Im not really going to get into the extra too much its mostly gonna be level 7s BRD, Scrap Archfiend, Ancient fairy Dragon etc.